1. 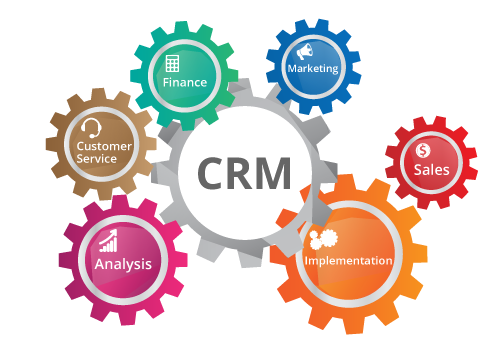 CRM – Customer Relation Management. Customer Relationship Management (CRM) is a strategy that focuses on building strong relationships with customers and potential customers for creating and maintaining a loyal customer base. CRM works across all departments to harmonize customer-centric thinking. It reduces costs, increases efficiency and improves customer satisfaction. CRM applications provide businesses with tools and techniques to identify the customer needs and behavior and thus help in delivering value. CRM touches the customer through marketing, sales, and service. Customer Relationship Management refers to a program to manage customer information. This software allows organizing customer information and also provides track sales leads from the time they start until the sales are closed. It allows complete information shared by both the sales team and the entire company. Our KEYY CRM software combines all the elements of Customer Relationship Management and Sales. This KEYY CRM allows to management to maintain complete control over sales process and not to miss any opportunities. KEYY CRM Systems will help combine your various systems into one centralized system using this. This KEYY CRM connecting to accounting system to ensure data integration and easy of information accessibility and also elimination of duplication done. Our KEYY CRM system will maintains all Leads, Deals and Contacts in a centralized system for all required Accounts to use as necessary. A benefit of this is, information will not easily remove from the company when a person leaves. During KEYY CRM implementation, from starting onwards we help determine how to promote the present business process to flow in a logical manner and identify workflow rules to be followed. By automating good processes we are able to help your business run more efficiently and effectively. Our KEYY CRM helps your organization to create more effective marketing and be able to track results through campaigns. With a good KEYY CRM the members of a sales team can do more than just access the names, addresses, and other contact information about contacts. Our KEYY CRM software will provide data related contacts and correspondence. It is easy to see sales graphs with the information provided by the KEYY CRM Application. This allows companies to be more competitive. Every member of a sales team should be working a number of sales prospects and this can make it difficult to keep up with everything. With our KEYY CRM system this becomes an easy task. For example, Up to date calendaring is automated so there are no missed appointments or follow up contacts. Tasking is easier than ever before because everything is kept up to date with the KEYY CRM system.